There are 4 main ways to create a website and although not all of them require knowledge of HTML, CSS or design in general it is definitely better if you have at least a basic understanding of all of them. At Opus web design we are skilled in all forms of web design and development and pride ourselves on always offering our clients the best solution for their business needs. Now that we know each of our website creation options, let's explore each of them in more detail. Programming a website from scratch is the most time consuming option but also allows for greater control over all aspects of the website. Websites programmed from scratch tend to perform better in search engine rankings compared to similar websites created using website builders as they contain only the required code and can be optimised to a greater extent. 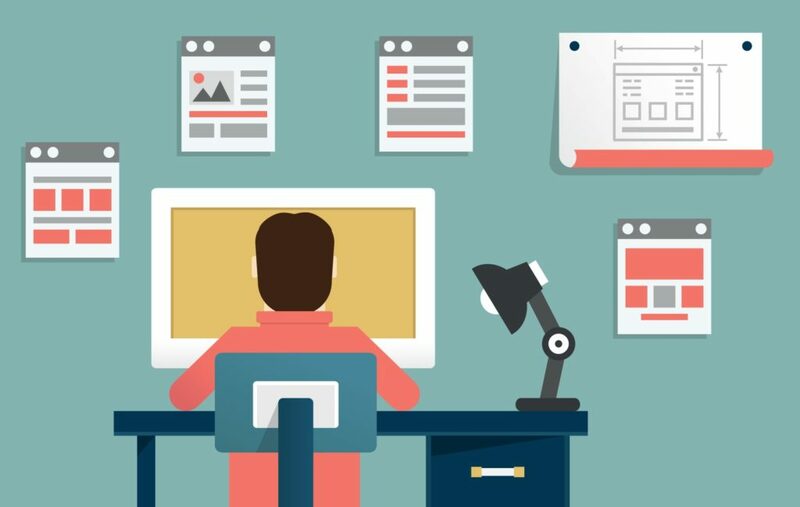 Websites programmed from scratch also tend to be more visually appealing and unique than drag and drop website builders which can sometimes look "boxy" and overly similar to each other. If you want your website up and running very quickly then perhaps a website template is the way to go for you. This is also a great option if your budget is small as the reduced time it takes to build the website will in turn lead to reduced costs. On the downside, templates can be purchased buy multiple people so somewhere out there is another website that is almost identical to yours. Templates are also less likely to be ideally structured for optimal SEO (search engine optimisation) so your website ranking can suffer unless you request additional SEO work to be done. Companies like SquareSpace, Wix and Weebly are the best options for this approach and they all offer a starter package where you can get online with a free sub-domain name and free hosting so they are also budget friendly to start with. Although on the surface it may seem like a good choice, the free domain name is not a full domain and they tend to overcharge you for a full domain name, the cost can escalate quickly as you look to add more features to your website. Despite the costs, if you do have the time and have good technical skills you can offset these costs by maintaining and updating the website yourself using the builder's online editor. CMS for short, content management systems are similar to, and often confused with, website builders. The difference being a CMS website design and structure is often created by a web designer first before being handed over to a client who only has access to a front end editor to make any required updates. WordPress and Blogger are 2 of the most commonly used CMS's. In order to help you choose the right approach to creating a website for your business Opus Web Design offers a Free 1hr website consultation. Contact us to make an appointment for your free business website consultation.